Campaigners have raised serious concerns over the Coalition's shifting policy on child detention and whether the practice will continue in all but name. Claire Sambrook of the End Child Detention campaign has written a lengthy dossier raising concerns over the government’s policy on the detention of the children of asylum seekers. 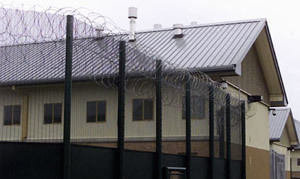 The coalition’s promise to end the practice is pivotal to its argument to represent the ‘progressive wing’ of British politics, but it is more important to the hundreds of children who risk being imprisoned and harmed psychologically and physically as the result of a policy that David Cameron has called a “scandal“. Immigration minister Damian Green had originally promised to cease all child detention by Christmas, though deputy prime minister Nick Clegg extended the deadline to May shortly before the new year. However, Sambrook has serious worries about detention practice until that time, and whether the policy will continue in all but name afterwards. • The opportunity for asylum seekers to access early legal advice after the government allowed a specialist law firm, Refugee and Migrant Justice, to collapse. Ending child detention was an ambitious policy for the coalition and Left Foot Forward has praised the administration for adopting it. Aspirations though, are not enough, while home secretary Theresa May has acknowledged the previous Labour government’s attempts to find alternatives to child detention. However, as recently as January, Gordon Brown insisted that the practice was being kept to a minimum, was only being used as a last resort, and that the welfare of families was being kept paramount, but child detention was continued and so did the problems. More than 1,000 children a year have been detained, with more than half detained for more than one month. In one case, a child has been detained for 190 days. Ultimately, the only way to end child detention is to end child detention. It will not be easy to carry out the policy. However, it has never been claimed that being progressive is the easy option. The government’s credibility is on the line; but more crucially, so are the lives of hundreds of children, many of whom have been the victims of persecution, but all of whom are innocent – and all of whom are currently being treated like prisoners.